We’re still trying to talk to the main feeder who won’t cooperate with TNR for the Cell Phones Colony, but in the meantime we can move ahead and do it anyway without him. Unfortunately he also lets these cats in and out of his home but there’s not much we can do about that for now. The auto repair shop next door is happy to let us trap in their lot. 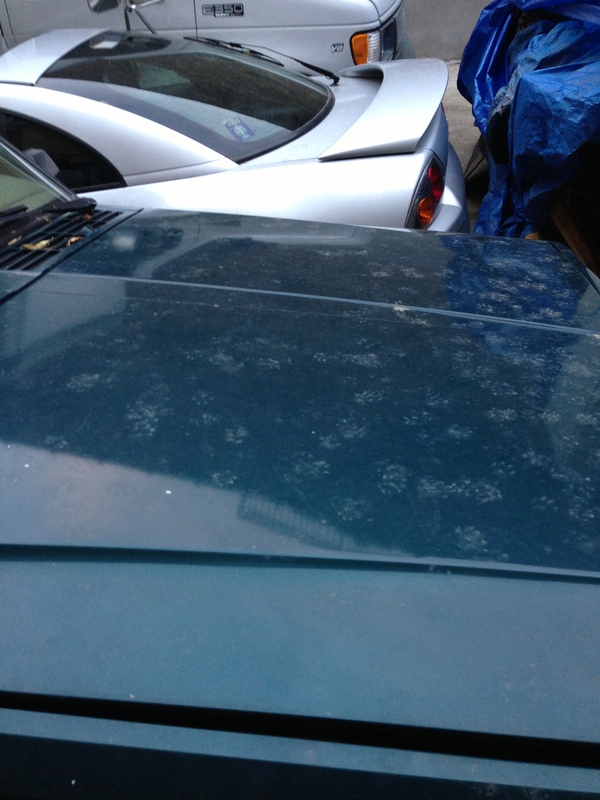 The cats are all over the cars there – check out the paw prints! We saw a bunch of cats hanging out underneath the tarps there. It’s the perfect cover for them. 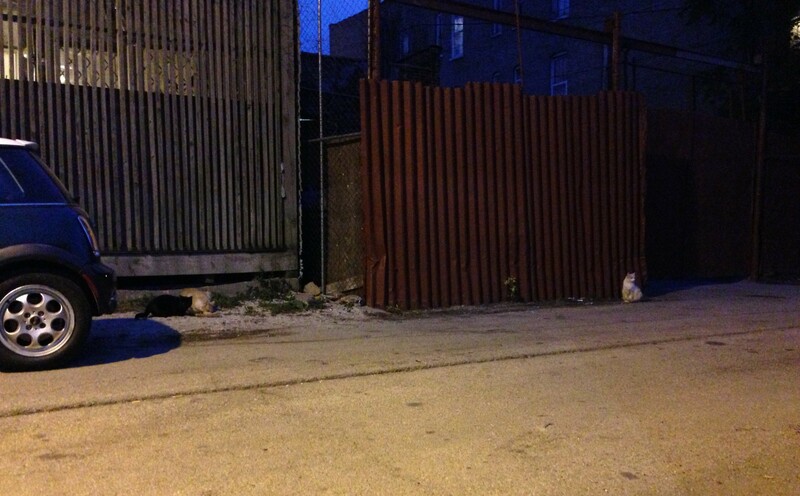 The lot owners agreed to feed daily there to entice the cats to stay and expect food. Once we’re ready, we will stop feeding for a day or two, set traps baited with canned fish, and see if we can get the remaining cats that still need to be fixed and vaccinated. It was hard to see what was going on under the tarps. The cats had already been fed that day, but we put out some tuna in the alley to could get a closer look at some of them. It wasn’t quite clear if they were ear tipped or not, but they were definitely related. 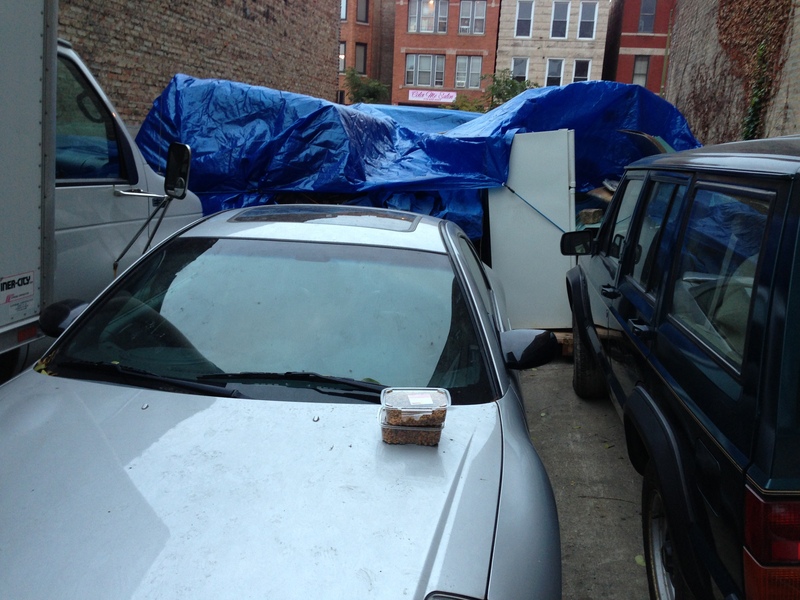 Now that it’s colder it might be easier to trap there because there is less food being left out in the alleys. The main feeder doesn’t have his door open anymore and is staying inside. The cats are less visible when it’s cold and people don’t want to go outside to feed them. We’re going to try to use all of this to our advantage – my most successful TNR projects have been done in the winter months.